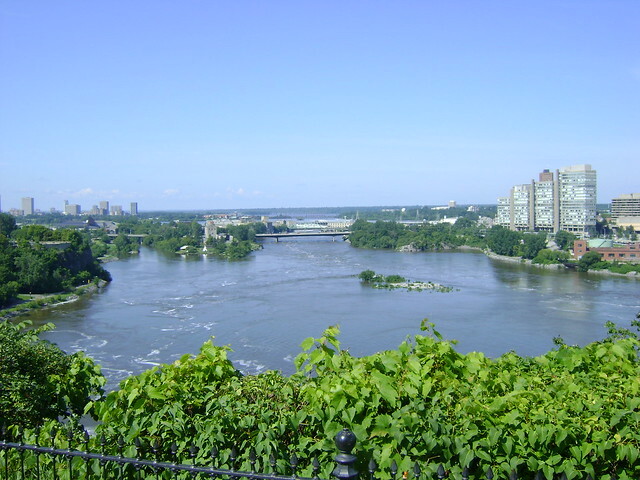 The Ottawa River, is a river in the Canadian provinces of Ontario and Quebec. For most of its length, it defines the border between these two provinces. 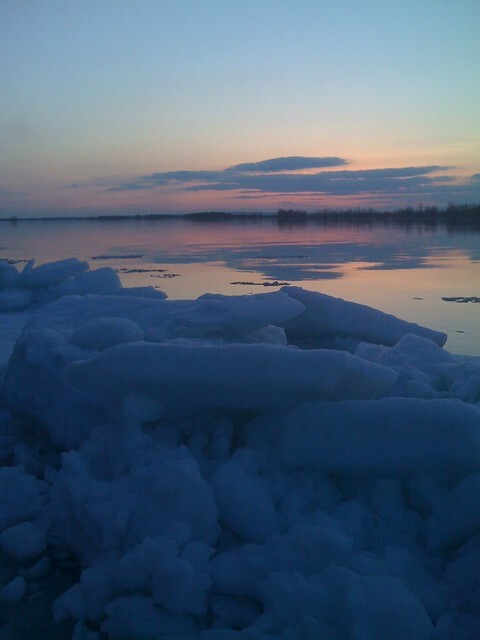 The Ottawa River, also known as Ottawa Creek, is a short river, approximately 20 miles long, in northwest Ohio and southeast Michigan in the United States. It drains an area on the Ohio-Michigan border along the eastern and northern fringes of the city of Toledo, goes through Ottawa Hills, and empties directly into Lake Erie. It is one of two rivers in northwestern Ohio that share the same name, along with the Ottawa River that is a tributary of the Auglaize River. The upper 4 miles of the river in Michigan north of Sylvania, Ohio is called North Tenmile Creek on federal maps, while another branch rising in Fulton County, Ohio, is called Tenmile Creek. 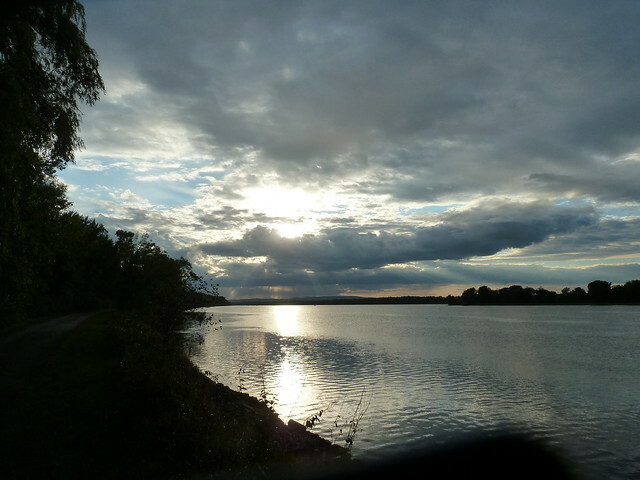 The Ottawa River is a tributary of the Auglaize River, approximately 50 miles long, in northwestern Ohio in the United States. 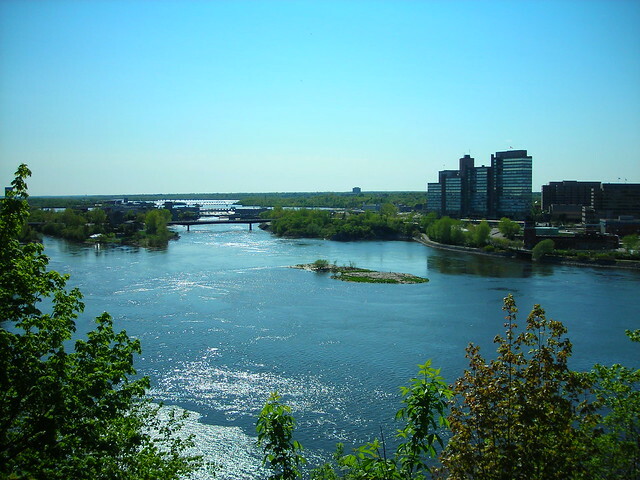 The river is named for the Ottawa tribe of Native Americans who inhabited the area in the 18th century. 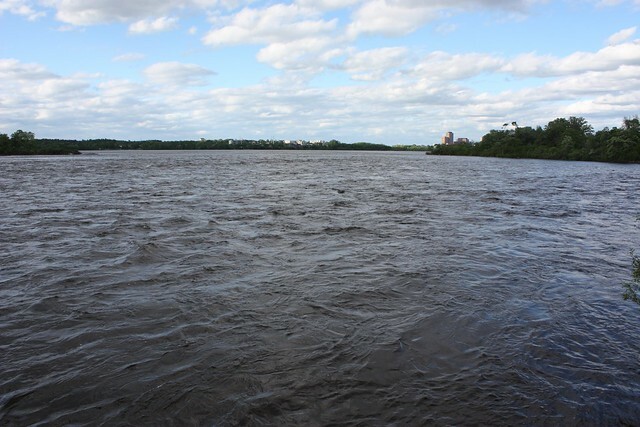 It is one of two rivers in northwestern Ohio, along with the Ottawa River in Toledo, that share the same name. 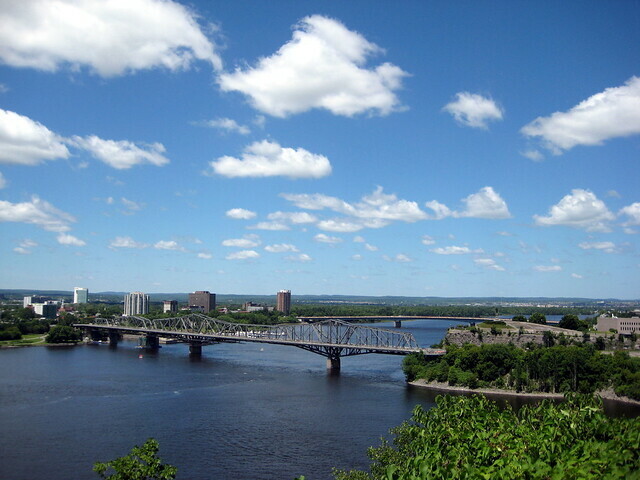 Looking toward Gatineau from Nepean Point. 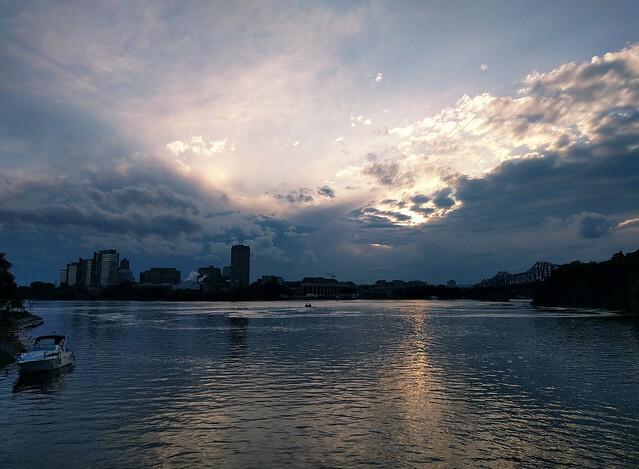 On a cloudy, windy day by the river. 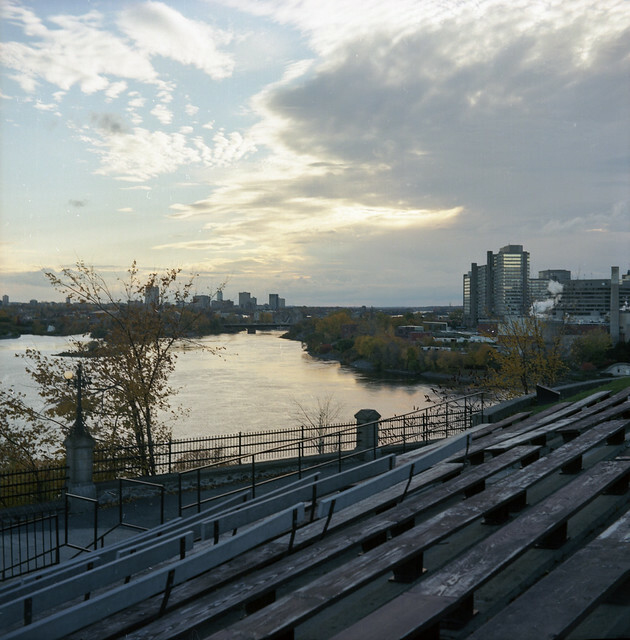 View of the Ottawa River taken from a Parliament Tower. 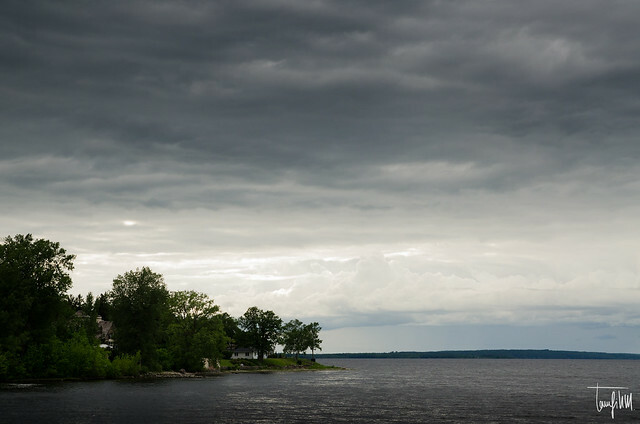 On the left, it is Quebec; on the right, it is Ontario. 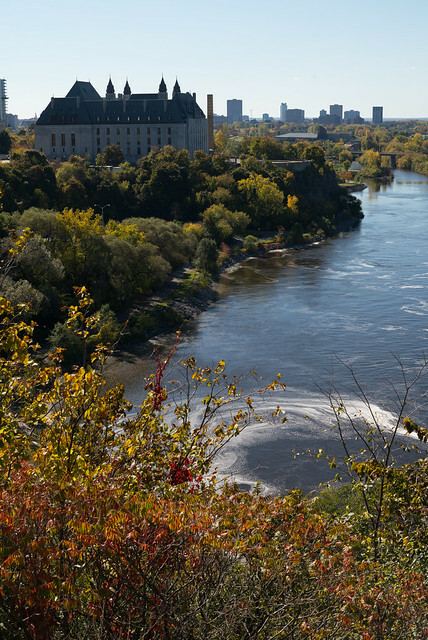 Looking at Gatineau, across the Ottawa river, from behind the Parliament buildings. 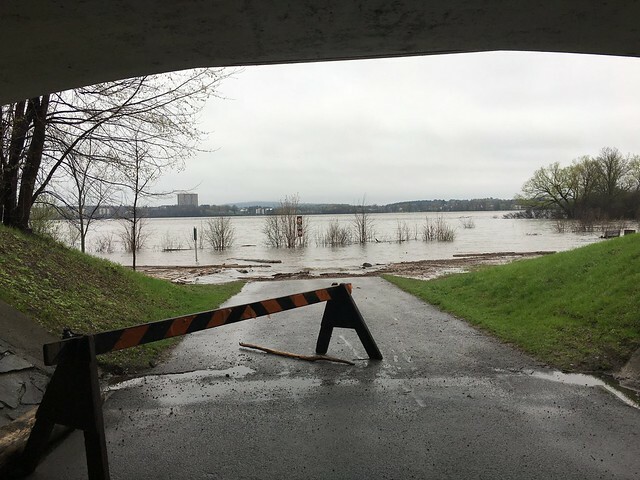 Taken from an underpass on the Sir John A. Macdonald Parkway. Photo credit: Ross Dunn: Thanks -10million views! Believe it or not, but there is not much editing here. The clouds and light really looked almost exactly like this. Taken from a waterside close to Lady Grey Drive. 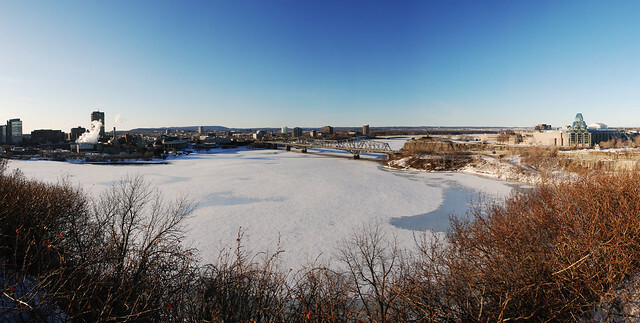 See also the blanagrams of Ottawa River! 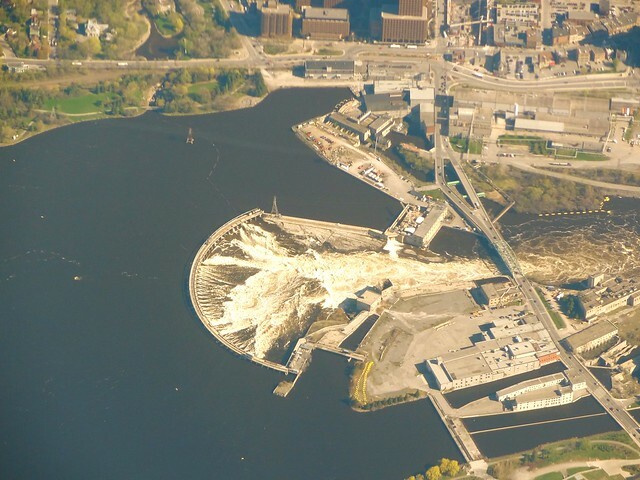 Go to the usage examples of Ottawa River to see it in context!